Arrotta Helps Food Truck Transition | Tucson Realty and Trust Co .
Their business on wheels has found a place to park. Holy Smokin’ Butts BBQ leased 2,000 square feet at 1104 S. Wilmot Road and owners Marisa and Curt Lewis are in the process of transitioning from their food truck. “Customers kept asking about a restaurant and that’s really what we wanted to do when we started the business,” Marisa said. The couple moved back to Tucson last year, after quitting office jobs to pursue their dream of opening a business. The food truck started rolling in May and quickly built a following. Their speciality is the slow-smoked brisket, which cooks 18 to 20 hours over pecan wood without propane, charcoal or lighter fluid. “It’s not a quick thing, it’s not fast food,” Marisa said. They also serve up ribs, pulled pork, sausage and tri-tip and plan to add barbecue chicken to the menu once the storefront opens in April on Wilmot near East 22nd Street. The trailer will remain a part of the business for catered events. Marisa said she looks forward to opening the doors and seeing regular customers pull up a chair. 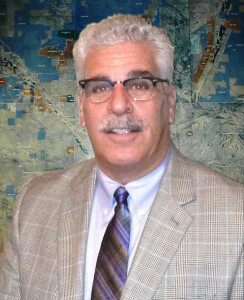 Frank Arrotta, with Tucson Realty & Trust Co., represented the tenants in the lease. HSL Properties bought the Hampton Inn and Suites at 5950 N. Oracle Road for $7.2 million. the hotel has 109 guest rooms, including 28 with kitchenettes. It is the the sixth hotel in the HSL Properties portfolio. CA Senior Lifestyle LLC bought 3.35 acres of land at 9005 N. Oracle Road, in the Copperstone Professional Park, for $830,000. David Volk, Peter Villaescusa, and Jesse Peron, with CBRE, represented the buyer.